Historic Downtown, 500 block of E Washington St. 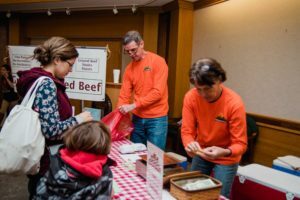 Discover a wide variety of fresh produce, meats, eggs, baked goods, jams, and more this winter when come to the indoor season of Farmers Market at Minnetrista! Don’t forget to visit The Orchard Shop at Minnetrista during your next visit. Saturdays; 8 a.m.–Noon It’s that time of year again. Join your family and friends at the outdoor season of Farmers Market at Minnetrista! 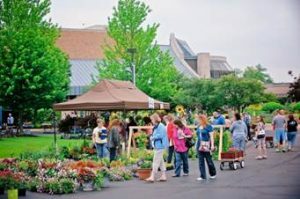 Connect with vendors to discover fresh produce and plants while enjoying fresh air. Don’t forget to stop in The Orchard Shop during your next visit. Shop local and fresh in the Meadow! COME to see your friends and neighbors, STAY to find your favorite farm to table items while relaxing in the fresh air. Farm fresh produce, our own girls & boys scout troops, crafts, fun for the kiddos, fresh baked breads & treats, Artisans from the local community; custom home decor, organic skin & bath products, Art, flowers, herbs, hot food and creamy ice cream, local/live singer/songwriters and much more! 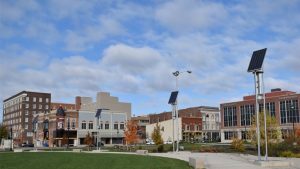 Canan Commons Downtown Muncie, 500 S. Walnut St.
Join us on the first Thursday of each month from 5:00 - 8:00 p.m. for a gallery walk around DWNTWN Muncie. Watch and learn from local artists as they perform their craft in various DWNTWN shops. Enjoy their company and purchase their unique creations. If you have an event you would like to have added to the monthly gallery guide, please send your info to: Dr. Natalie Phillips at nephillips@bsu.edu.